I received some fascinating incoming links this morning. They prompted me to think about the ‘C’ words: connecting, collaborating and cooperating. We’re aiming to carry on those important conversations in many different spaces – through the use of social networks, collaborative tools, shared hashtags, and in personalized spaces. What #etmooc eventually becomes, and what it will mean to you, will depend upon the ways in which you participate and the participation and activities of all of its members. You may even establish and grow your personal and professional learning network (PLN). The future of Open is a dynamic landscape, ripe with opportunities to increase civic engagement, literacy, and innovation. Towards this goal, the Science Program at Creative Commons is teaming up with the Open Knowledge Foundation and members of the Open Science Community to facilitate the building of an open online course, an Introduction to Open Science. The actual build will take place during a hackathon-style “sprint” event on Open Data Day on Saturday, February 23rd and will serve as a launch course for the School of Open during Open Education Week (Mar 11-15). 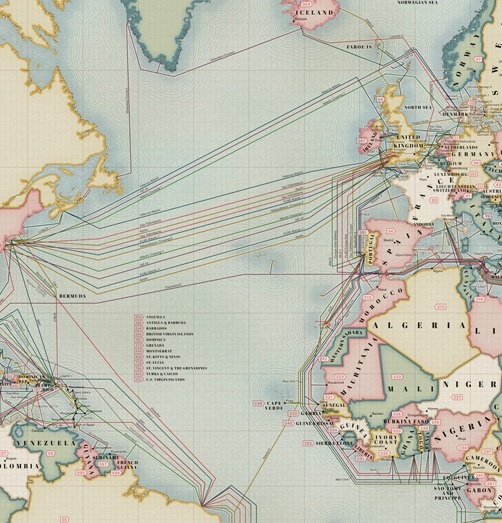 Richard Byrne shared a link to maps of the telecommunication cables that cross under oceans and seas. I enjoyed discovering that Greenland is connected. After looking at the maps, it was interesting to note Ryan Lawler’s post about Intel’s plans to build a Virtual Cable service for web streaming video content. who is central, and who is peripheral to the discussions? 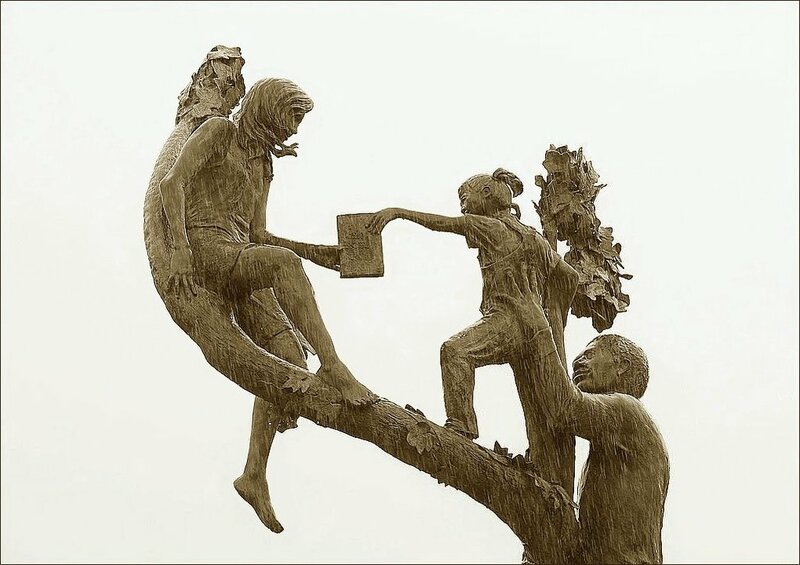 Actively cultivating the right social networks both to activate in the moment and to help propel lifelong learning are actually fundamentally crucial. After a morning of ‘C’ links I returned to Stephen Downes’ 2010 discussion of Collaboration and Cooperation. I think Stephen’s discussion of Autonomy, Diversity, Openness, Interactivity is very helpful in distinguishing collaboration and cooperation. As ever, I marvelled today at the creativity of those sharing their insights and admired the way others connect to them and share them. 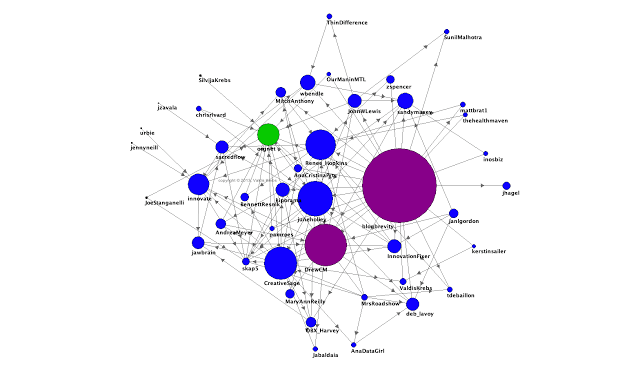 I was reminded of Lyn Hilt’s post at #ETMOOC, Networking by Passion. With the rise of social media and genuine online communities forming around passions of all kinds, there is no reason why educational leaders should limit themselves in terms of how and with whom they network. Frame Grab from Submarine Cable Map 2013.